Spring Sale DSP-Quattro 3 FULL version - $99. VST/AU host application. Power PC G5 or Intel Core2 Duo CPU, 512 MBytes of RAM and 100 MBytes of free HD space. DSP-Quattro is a powerful sound editor for Mac OS X that utilizes the latest technological advances of computer-based sound editing. Universal Binary support: DSP-Quattro runs natively on Macs based on new Intel processors. Full support of Mac OS X Quartz graphic libraries. Immediate Cut, Copy &Paste, and undos/redos, no matter how much is the audio file long. Batch Processor, for automated file format conversion, plug-ins and additional processing. Extended Altivec support for extreme processing and file I/O speed. Fully programmable PlayList with real time and non-destructive internal and/or plug-in effects and crossfades between tracks. Each PlayList track may have its own real time internal and/or plug-in effect chain. Playlist and audio CDROM image files can be exported or imported compatible with Roxio Toast/Jam format. AudioUnit Instruments and Effects plug-in support. AIFF, SDII and .WAV mono/stereo sound files direct load/save support: 8, 16, 24, 32 and 32-floats bit/sample (the last allowed only for WAVE and AIFF file formats). RAW data files Import/Export (8, 16, 24, 32 and 32-Floats bits/sample). Import, by using QuickTime, of most audio file formats, including MP3, audio tracks from QuickTime movies and Audio CDROMs, and more. Advanced HD based High Speed audio engine, to play any audio files forward and backward, at every speed, without loading them in RAM memory. Full Project management, to Load/Save a snapshot of the current configuration and all settings, as, for example, opened files, loaded Instruments, plug-in instruments, I/O configurations, etc. Complete list of editing functions, most of which have a real time preview option for the best parameters setting. Very easy to configure to play multiple - also at the same time - virtual plug-in Instruments by MIDI, also for live performances. 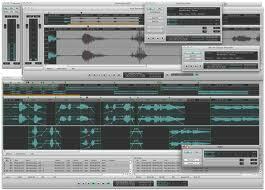 Zooms and visual tools, the state of art in graphic visual interface for audio editing. Generic and Edit Markers support, with floating window interface for their management. Regions are supported. DSP-Quattro offers also an advanced graphic control on the Marker&Region tool window and several related functions for their management. Regions list can be exported as AudioCD Image compatible with Roxio Toast/Jam format. Complete Undo/Redo history table, to immediately jump back to any moment of the editing session. - Resonant analog LowPass, HighPass, BandPass filter simulations. - 4 Bands full parametric EQ. - 7 Bands graphic mono and stereo EQ. BPM tempo based Auto-Detection, Auto-Loop and TimeStretching algorithms. Resampling, Pitch Conversion, Normalization, multiple Fade In/Out features. Drag&Drop support for fast loading, saving and exporting even regions of the audio files. Multiple virtual Instruments and Effects hosting, for both real time live performances and off-line editing. Also Audio Inputs, Input Recorders, virtual Instruments can has their own independent insert effects. User can Save/Load/Copy/Paste the Insert and Global Effx chain, including all loaded plug-ins and their settings. Find Peak and RMS function with extended facilities. External audio devices fully supported, to address also multiple analog and digital inputs and outputs at the same time. Very easy to configure as Real time multi-effects unit, including Inputs to Outputs redirections. Support for Mac OS X Maverick. New export function of all CDTracks as separate AIFF, WAVE, SDII or .mp3 audio files. New export function of a single CDTrack as independent AIFF, WAVE, SDII or .mp3 audio file. Extended DDP support without CD-Texts or with empty CD-Texts fields. Faster procedure for burning AudioCD without the need of keeping image files. Various bugfixes and new features, details here. Compatibility with Mac OS X 10.7 Lion. Miscellaneous bugs have been fixed. How do I buy a full copy ? Posted by Emo LeBlanc on Sun, 01/18/2004 - 18:58. I have been using the Demo copy and it works like a charm but I can't find any one around here that carries it so that I can buy the dam thing. I am in Edmonton, Alberta can any one help me ? Re: How do I buy a full copy ? Posted by MR_SUPER_CYCLER on Thu, 06/09/2005 - 03:26. Posted by Golem14 on Sun, 12/11/2005 - 12:06.